MANILA, Philippines - After months of preparations, Rio 2016 Olympics has kicked off on Friday, August 5 (Saturday in Philippine Time) at the Estadio Maracanã in Brazil with a noble message of promoting peace and protection of the environment. 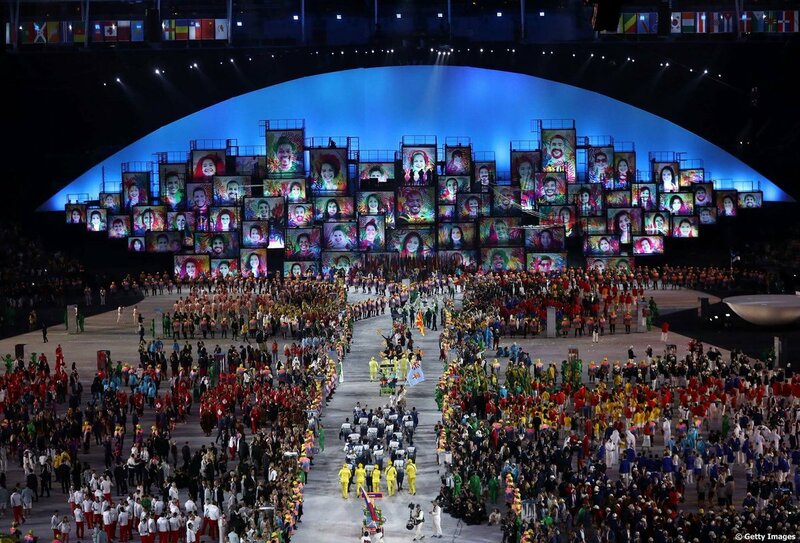 Watch on this page the full video replay and the best photos of the opening ceremony. The performances were a flamboyant feast of Brazilian culture with the three main themes: the garden, diversity and joy. Brazilian film director Fernando Meirelles, the mastermind behind the grand opening ceremony focused on the following: Brazilian talent for making something great out of almost nothing, the beauty of the art produced in Brazil and the search for a new peace on our planet. The intensely colorful spectacle has included lasers, 3D projections and a cascade of water enveloping the stage. 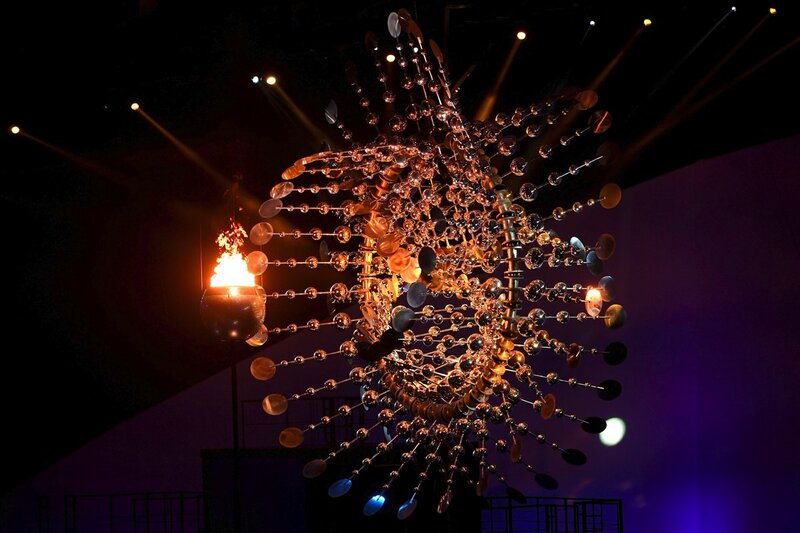 Among the highlights of the event are the lighting of the Olympic flame and Olympic rings explosion in the sky of the Stadium. It was a showcase of 207 competing countries, 12 samba schools who have performed and 35,000 professionals behind the show. What a colorful stage for #Rio2016 opening ceremony! Stunning view of athletes parade. 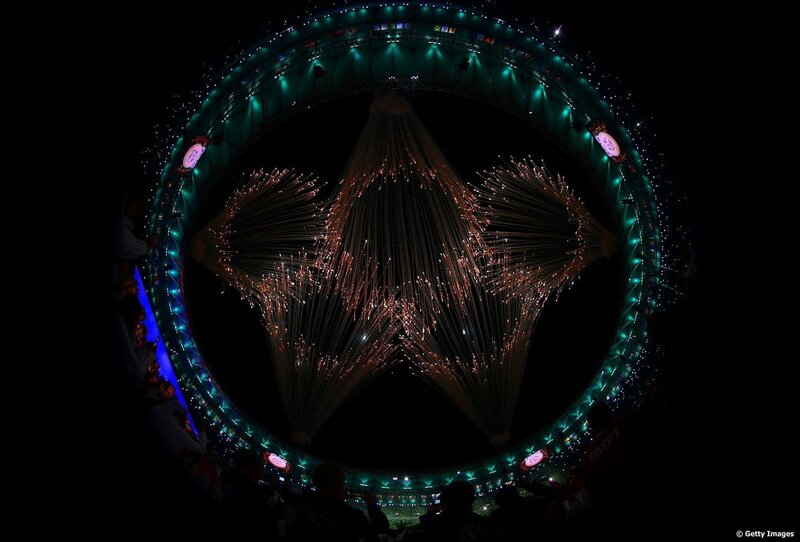 Reports said that the budget of Rio's opening ceremony is a tenth of that of London 2012. Running until 21 August, Rio 2016 will feature an all-star cast topped by the likes of Usain Bolt and Michael Phelps.